Like most everything else – our “Japanese Wonder Shell” comes from China! The shell looks like no other, it is unique in appearance. Because of its deep water habitat, it remained unknown until a solitary specimen was discovered in the late 1800s. In describing the species in 1877, G. F. Angas said “This very remarkable shell, quite unlike anything hitherto met with, was recently brought from Japan by Mr. Charles Thatcher,” and, because Angas was at a loss to place it in a known genus, Mr. Thatcher acquired an unexpected immortality. 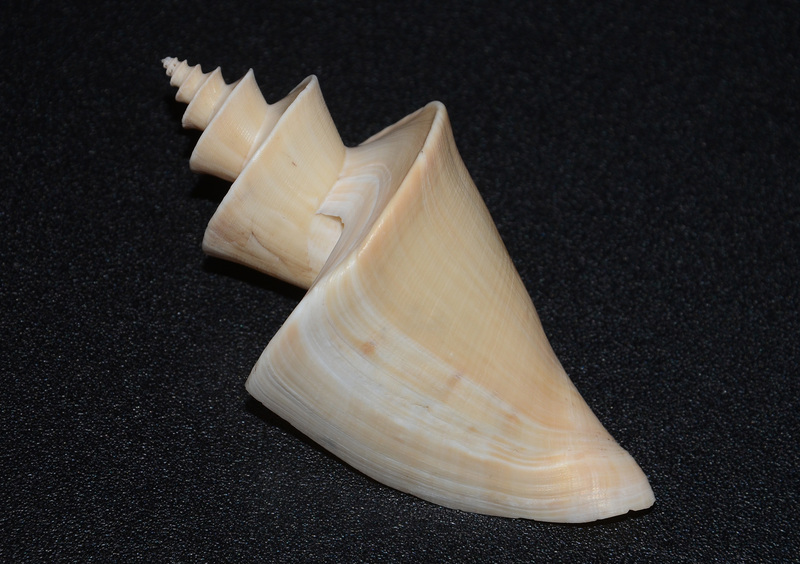 Conchologists, puzzled by its peculiar appearance, were equally doubtful where to place it systematically and often they echoed the words of G. W. Tryon: “That this shell is a scalaiform monstrosity cannot be doubted, but what may be its normal form is not so readily ascertained”. No others were known until the early 1930’s when several, exactly comparable, were fished up in Japanese waters; it was no longer a monstrosity and its systematic position was established a few years later. It is a member of the Turridae. Today, Thatcheria mirablis are still quite scarce though not rare. The shell is hard to find in collectible condition so few make it to the market. Our specimen was trawled by a Chinese commerical fishing fleet in 100 fathoms, North China Sea, 2010. It is typical in size and condition as to what is available.